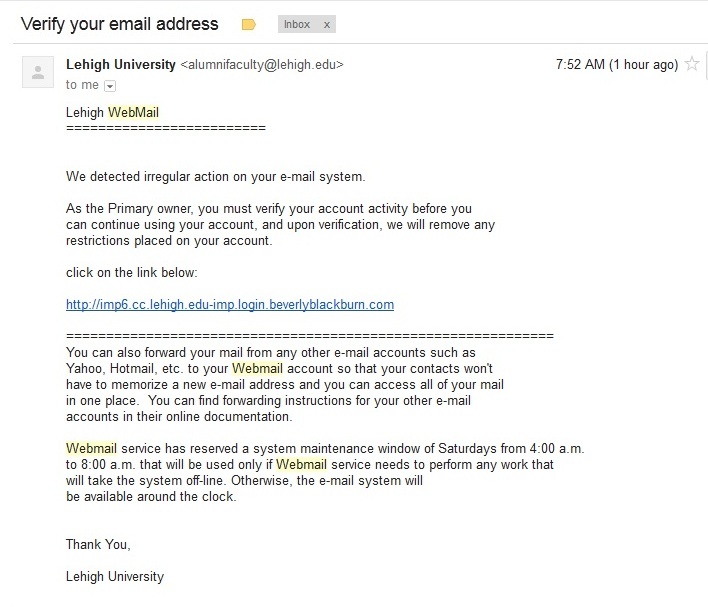 This clever phishing example looks like it is from Lehigh. If you hover over the link, notice that the server address - the part between the double-slash and the next slash - is not the lehigh.edu domain (it starts out like a Lehigh web address, but it actually ends with "beverlyblackburn.com"!). Very tricky. If you were to follow this link (DON'T), you'd see a fake webmail login page (shown elsewhere in this list). NOTE: LTS will not send links in email, and we will not ask for your password!